Michelle began her professional career as an administrative assistant at the Law Offices of John Morelli, P.C. in Voorhees, New Jersey, where she worked for 32 years specializing in residential and commercial real estate transactions. As part of the practice, she obtained her real estate license in 2004 so that she could actively participate in all aspects of the real estate transaction from contract to closing. Throughout the years, Michelle and her husband have purchased, renovated and sold houses from Sweetwater, Cape May Beach and Strathmere before settling in Sea Isle. Upon her husband's retirement in 2012, Michelle relocated permanently to her vacation home in Sea Isle City to pursue her real estate career full time. She also serves as an assistant to John McCann and Joe McCann and is active in sales and rentals. 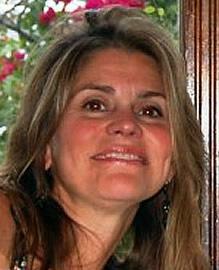 Michelle has been married to her husband, John, since 1995 and resides in Sea Isle with her two dogs, Jaxson and Ozzie.